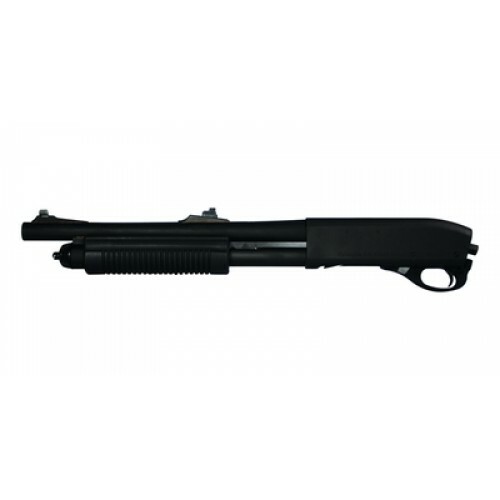 Features non-binding twin action bars for smooth, sure pump operation; receiver milled from solid block of steel; breechblock locks into barrel extension. Flexitab feeding system; balanced sear and inertia firing pin; cross-bolt safety. Includes front and rear swivel studs. Fourteen inch barrel with modified choke and parkerized finish. Speedfeed ribbed forend. Three inch chamber accepts 2.75 and 3 inch 12 gauge shells.